Here’s one of the all-time what-if stories. 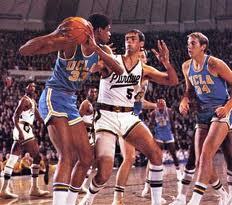 Bavis was an Indiana All-Star in 1966 and part of the same recruiting class as Rick Mount at Purdue. He had received All-American recognition while leading Garrett High School to an undefeated season as a senior while averaging 33 points per game, and seemed certain to become a star in college, too. 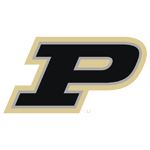 The 7-foot center injured his shoulder in the NCAA tournament in 1969, when Purdue was poised to challenge for the national championship, and was watching from the sideline when it lost to UCLA in the championship game. The following fall, he lost control of his car after drinking too much in a bar and was involved in a serious one-car accident. His foot had to be amputated, and his career was over. He eventually bounced back from that to become a successful businessman, and has offered his services as a spokesman on the dangers of drinking and driving. He overcame tragedy and made the best of it. And that’s a story worth telling.